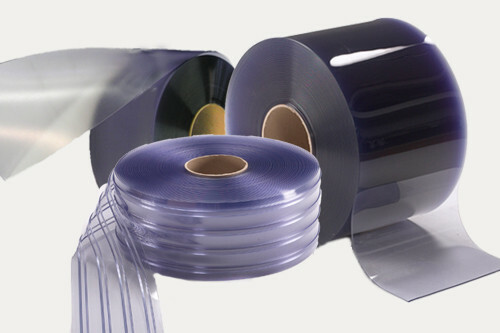 Standard PVC is the most common type of PVC strip because of its versatility; it can be utilized in almost any environment with temperatures ranging between 0°F and 150°F. This clear, flexible material works well for a wide range of both indoor and outdoor applications. Standard PVC strip is the most commonly preferred material for strip doors and curtains as it’s a great material for separating environments while allowing visibility between areas. Our standard strip bulk rolls can be utilized for do-it-yourself strip doors, replacement strips for an existing strip door, curtain enclosures, and so much more. Be sure to also check out our complete strip door kits. PVCStrip.com offers several varieties of standard strip bulk rolls, including smooth, ribbed, and frosted. Click on the products below to learn more about each type of standard strip.